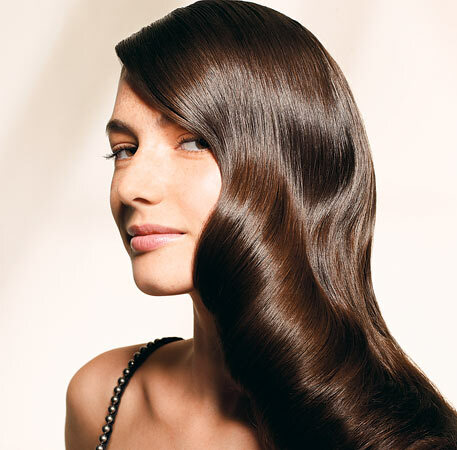 UpdatedTrends.com: Beautiful, shiny, long hair is what many of us dream about and when it comes to healthy hair, it is important what you put in your body, in addition to what kind of products you use on a regular basis. Using the right shampoo and conditioner is beneficial, but you need to commit to a healthy diet as well in order to have the wonderful hair you are craving for. 1. Salmon – One of the best foods for your beauty, salmon is rich in omega-3 fatty acids – which are needed to support scalp health – in addition to containing plenty of vitamin B-12 and iron. If your diet does not contain the right amount of essential omega-3 fatty acids, this can result in a dry scalp and your hair will have that dull look. If you are a vegetarian, make sure to incorporate one or two tablespoons of ground flaxseed on a daily basis for some plant-based omega-3 fats. 2. Dark green veggies – Broccoli, spinach and Swiss chard are all great sources of vitamins A and C and your body needs them in order to create sebum. Sebum is important because it is secreted by your hair follicles and represents your body’s natural hair conditioner. In addition to that, dark green veggies are rich in iron and calcium. 3. Beans – Kidney beans and lentils offer plenty of protein to promote hair growth and they are also rich in iron, zinc and biotin. Make sure to have three or more cups of lentils or beans on a weekly basis in order to keep your hair healthy.